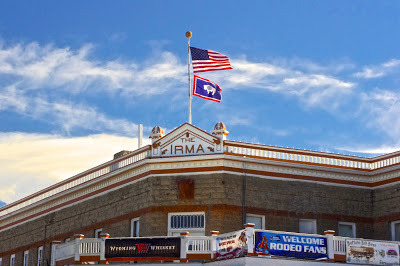 Cody Wyoming, the home of "Buffalo Bill Cody" and his Wild West Show! Couldn't miss an opportunity to check that out! A whole town devoted to one man, and after spending a day in the Buffalo Bill Center of the West, I can see why. It was his service in the American Civil War in 1867 that earned him his nickname. He began buffalo hunting (to feed constructions crews building railroads). His own assessment puts the number of buffalo he killed at 4,280, in just over a year and a half (he apparently was quite good at it). 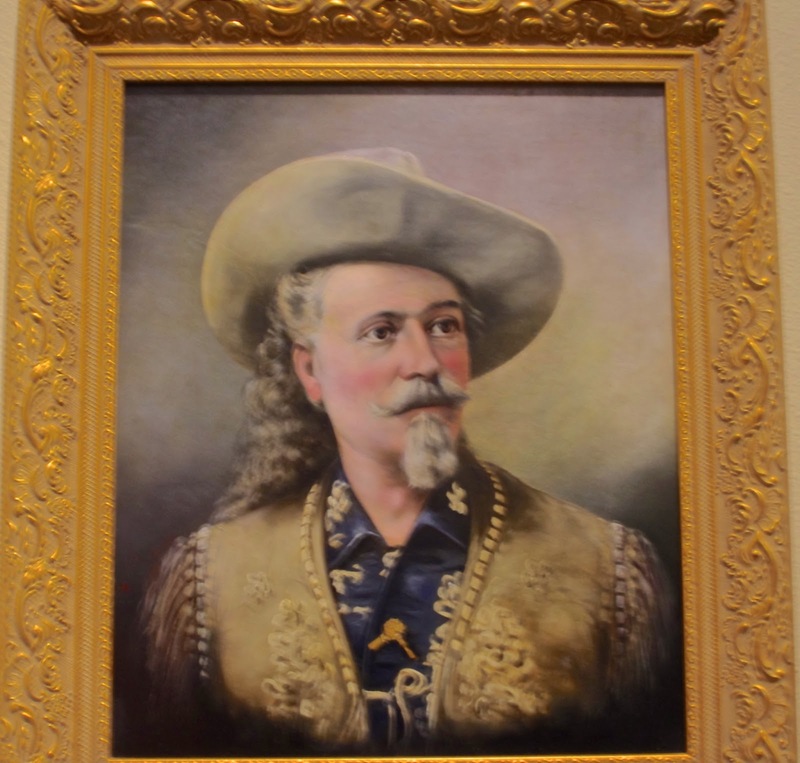 He became a national folk hero thanks to the dime-novel exploits of his alter ego, "Buffalo Bill.” In late 1872, Cody went to Chicago to make his stage debut in The Scouts of the Prairie, one of Ned Buntline’s original Wild West Shows (Buntline was the author of the Buffalo Bill novels). What I also learned, was that he married and had 5 children, 4 of which died at pretty young ages. Irma, the youngest, survived and even joined the show for awhile. 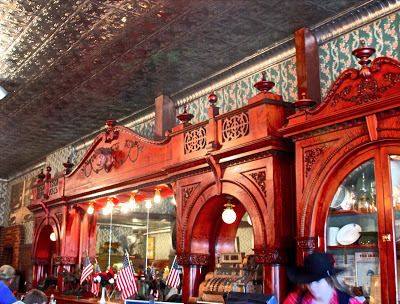 He named a hotel (turned restaurant) for her in Cody. His wife didn't travel with him and stayed married to him all through those tough years (out lived him). He was a very active man, involved in everything from women's & Indian rights, to water and land management in Wyoming. His foresight helped build a much needed dam just west of Cody and he was recognized by both politicians and royalty. He was quite a man. 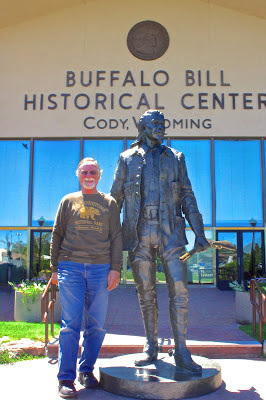 We had no problem spending a full day in the Buffalo Bill Center of the West. It actually is 8 museums in one. Jack spent most of his time in the Cody Firearms area that had a special show from the Smithsonian and I went over to the Whitney Western Art Museum & Photography Gallery. I was in awe of some of the incredible art they had. Jack said he saw firearms and "artwork" (on them) like he has never seen before. I was allowed to take photos in my area (so I did, of course), but he was not. Afterward, we made our way to the historical part of downtown to check out "The Irma" and have a drink at the bar that cost $100,000. back in the turn of the century. They have a gunfight melodrama every evening (except Sunday) in the street out front, just to add some fun (and bring in the customers!). The bar is now part of the restaurant, so you can't sit at it, so I just had to take a picture, but it was all fun. 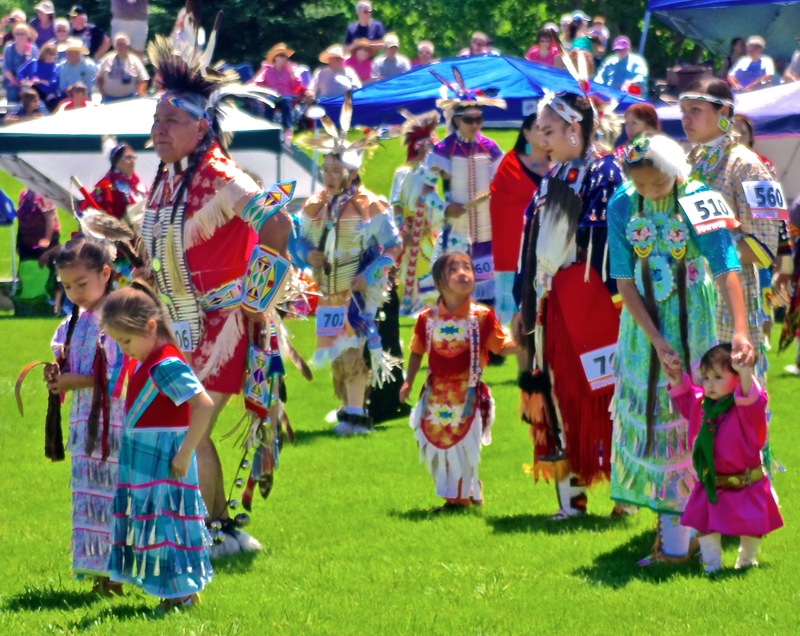 The next day Cody was hosting the Plains Indian Museum Powwow, so of course, we went to check it out. What a beautiful sight! 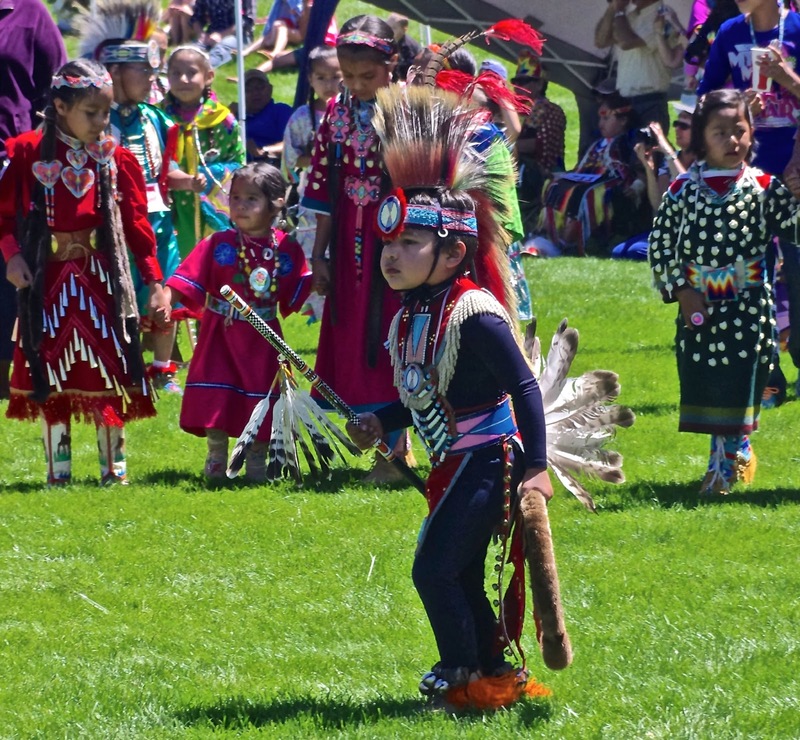 Hundreds of men, women and children all dressed in traditional regalia from head to toe. We got there a little late and it was pretty crowed, so I didn't have the best spot for taking pictures, but that didn't stop me from trying. 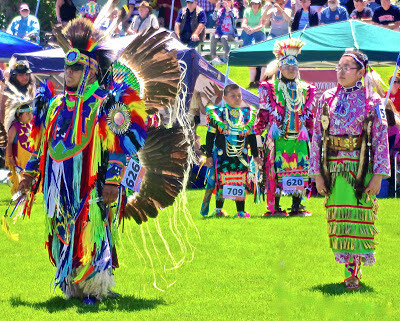 I had promised my daughter and grandson that I would do my best to take some good shots of the various regalia so that they could see the special colors, beading and designs. There were so many beautiful ones to look at, each different, I just kept snapping pictures. They had each tribe parade around the area as they announced their region, then they would have different groups, like the Tiny Tots. These were adorable little ones under 7 years. A couple were barely walking! 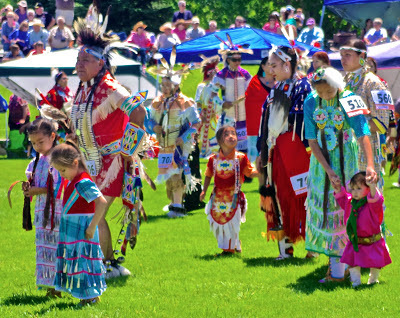 Their whole family would walk with them, supporting them in keeping this tradition alive. It was so great to see the love and happiness they all shared. They also had the 7-12 age group. Shy and proud at the same time. Sweet. Then the competition dancing began. 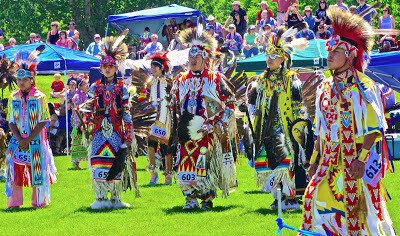 The drummers chanting and drumming while the dancers competing in the hot sun. They were competing not only for the money, but for the honor as well. You could tell that these people really had their heart in what they do. It was very special to see. I'm glad we were there to be a part of it, if only on the sidelines. Cody was just a quick stop for us, as we are on our way to Gillette WY for our very first, very large, RV Rally! Four days of seminars, entertainment and shopping! Yippee! 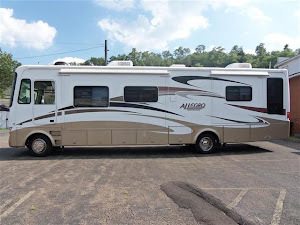 My husband and I bought our 31' Sea Breeze LX in March, 2012. 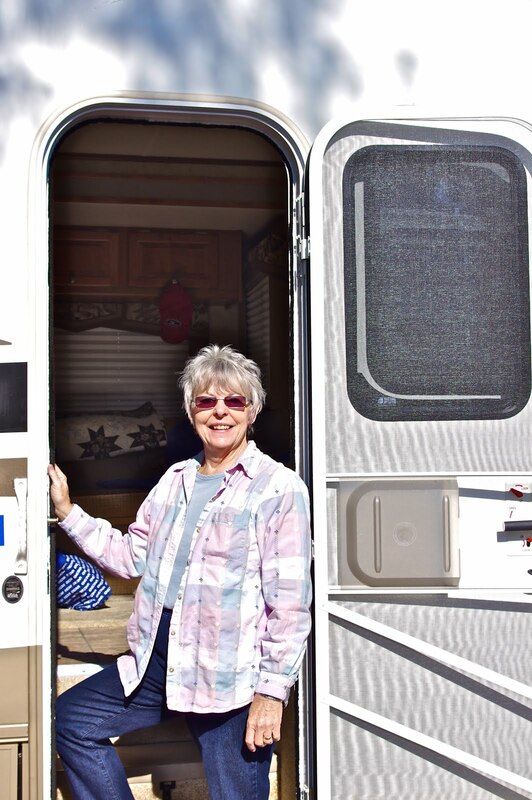 We live in Thousand Oaks, CA, and are looking forward to traveling the US, but still have a few things here at home to do. We travel up and down the coast and spend a few weeks in May camping in Yosemite. I have been enjoying your blog so much and can hardly wait to get started on our journey. You are a wonderful blogger and great photographer. Have a marvelous time in Wyoming. Bonnie McAfee. Thank you Bonnie, that was so nice of you to share with me! Sometimes I think I am just writing to myself...nice to know there is someone else out there! I would love to meet you on the road some day, don't put it off to long, you never know what life has in store for you! Come on and enjoy it!